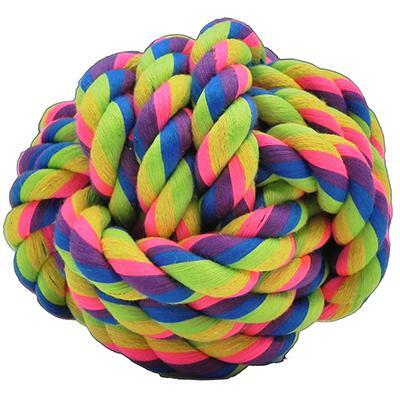 Nuts for Knots dog toys are: "The Toy that's Fit to Be Tied" Durable woven cotton rope ball for many hours of playtime for your pet. Medium knotty ball measures 4 inches. Made of new material only.